'Click' To See Today's Town Center Homes For Sale! 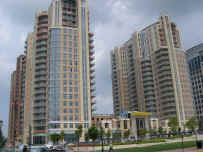 The Reston Town Center is located in Reston Virginia in the northwestern corner of Fairfax County VA. 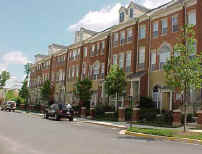 The Town Center hosts thousands of wonderful homes in its condo and townhome communities. The environment is hard to describe ... It's like living in the city ... But it's actually part of a planned community. It's metropolitan ... yet in the suburbs. It's convenient ... yet private. It's new ... yet familiar. It's Downtown ... yet relatively crime-free. There’s nothing quite like it. It evolves and becomes more sophisticated every day! 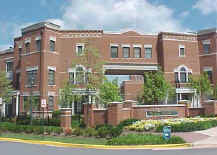 The Reston Town Center offers benefits that just aren't available anywhere else in Northern Virginia ... Spectacular Restaurants ... Outside Strolling & Dining ... A Fantastic array of stores ... The opulence of the Reston's Hyatt Regency ... An outdoor Skating Pavilion ... A World-Class Cinema ... Outstanding Restaurants ... Free Garage Parking ... The List goes on and on. Reston Town Center real estate sells at a premium … But perhaps not as much as you’d think. 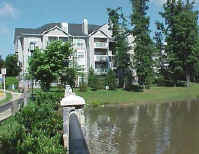 Town Center property is in limited supply ... Consequently it’s a good investment. 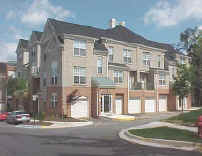 The major townhome communities on the western edge of the Town Center at located in Westmarket and Edgewater. 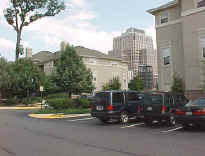 The existing condominium communities are (from east to west) Carlton House, Stratford House, PARC Reston, Paramount, MidTown, the Savoy, Market Street, Oak Park, Lincoln Park, Madison Park and Edge Water. 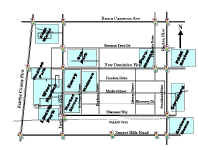 If you're thinking of buying or selling a home in Reston's Town Center area ... You owe it to yourself to secure a Realtor who understands Reston Property ... I've lived in since 1976 ... Call me & Let's get YOU MOVING TO YOUR DREAM HOME!